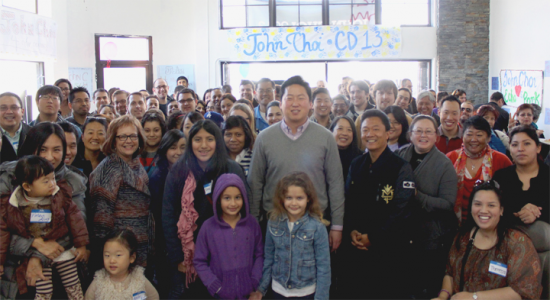 John Choi is one of two candidates going into the runoff in Council District 13. Elections in Los Angeles County on Tuesday produced mixed results for Japanese American and other Asian American candidates. In the District 9 race for City Council, former LAPD Deputy Chief Terry Hara placed fourth out of seven candidates. The top two vote-getters, State Sen. Curren D. Price Jr. and Ana Cubas, former chief of staff to Councilmember Jose Huizar, advance to the May 21 runoff. The winner will replace Councilmember Jan Perry. Hara said in a message to his supporters, “I want to thank you for being on this incredible journey with me. When I decided to run for Los Angeles City Council last year in the 9th District, I knew that I would need the support of my family and my friends but I never could have anticipated the overwhelming support from the community. “While the results were not what we had hoped for, I was still encouraged by how welcoming the community has been. Day after day, I would be invited into homes to sit and talk about the issues that mattered to them. Without a doubt, my campaign has touched thousands of residents who have been empowered to seek the change in the community they want to see. “With the support from so many of you, I maintained my position as the lead in campaign contributions throughout the duration of the election cycle. Unfortunately, my opponents all had independent expenditures that totaled over $400,000, which changed the scope of the race. “Running for office has truly been a remarkable experience for me. We had over 60 interns from USC and the local high schools join our campaign with volunteers flying out from the East Coast in the last few days to help us get out the vote. This campaign has truly been a milestone moment in my career for public service. In the District 13 council race, John J. Choi will advance to the runoff after finishing second out of 12 candidates. If he wins, he will be only the second Asian American to serve on the City Council (the first was Mike Woo) and the first Korean American. His opponent will be Mitch O’Farrell, co-founder of the Glassell Park Neighborhood Council. The winner will replace Councilmember Eric Garcetti. In a statement prior to the election, Choi said, “I’m running for City Council in District 13 because we need to break our city free of the grip of special interests and make it work for residents again. I’m committed to making our city work for you by improving city services, creating jobs, and improving our neighborhoods. “As the economic development director for the Los Angeles County Federation of Labor, I led efforts to cut through red tape and help create good jobs with benefits. “On the Public Works Commission, I fought to improve and streamline city services, making them faster, more efficient, and more responsive to residents. Two other Asian American candidates finished in fifth and 10th place. In the Los Angeles Community College District Board of Trustees race for Office 2, former Assemblymember Mike Eng won decisively with 166,545 (64%) to John Burke’s 94,384 (36%). Councilmember Perry, who had strong support from the Little Tokyo community for her mayoral campaign, will not be in the runoff, which will be between Councilmember Garcetti and City Controller Wendy Greuel. Both Perry and former prosecutor Kevin James had 16 percent of the vote — 45,480 and 46,684 votes, respectively. There were four other candidates. 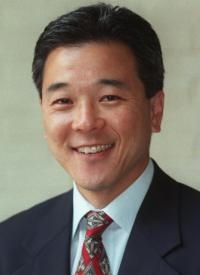 Mayor Paul Tanaka easily won re-election to a third term even though he did not actively campaign for the job. He defeated Councilmember Rachel Johnson, whom he had initially supported, and Councilmember Dan Medina, who ran as a write-in candidate. Johnson and Medina will remain on the council. Mayor Pro Tem Ron Ikejiri is termed out. Tanaka has said that he was not planning to run again but filed papers because it appeared no one else was going to run, then was surprised when Johnson announced her candidacy. Medina has said that he would have had his name put on the ballot if he had known Tanaka wasn’t interested. “What I intend to do is get back to work. There’s no room for personality conflicts or harboring any grudges. It’s about getting back to the business of running our city and make sure it gets better and better each day,” Tanaka stated. In the race for two seats on the City Council, incumbent Tasha Cerda and former Mayor Terrence Terauchi finished ahead of pastor and former police lieutenant Rodney Tanaka, Planning Commissioner Mark Henderson and Kathleen Evans. The three candidates for city clerk were separated by only one percentage point. The winner will replace Maria Marquez-Brookes, who is stepping down. Late absentee ballots may change the outcome in the council and clerk races. 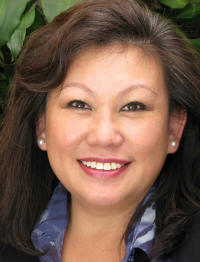 J. Ingrid Tsukiyama ran unopposed for re-election as city treasurer. Elsewhere in the South Bay, Viet Ngo finished last in a six-way race for three seats on the Manhattan Beach City Council. There were no Asian Americans on the ballot in Carson, but those who want the City Council Chambers to be named after former City Clerk Helen Kawagoe now, not after she dies, have been trying to change the makeup of the council. Mayor Jim Dear won re-election, defeating Councilmember Lula Davis-Holmes, 2,574 (62%) to 1,552 (38%). Davis-Holmes will remain on the council. Incumbents Mike Gipson and Julie Ruiz-Raber were in the lead with 2,006 (27%) and 1,837 (24%), respectively. Among six challengers, only Albert Robles was in contention with 1,686 (22%). Provisional ballots could affect the outcome. The election of Robles would give Kawagoe’s supporters a majority on the council (with Dear and Councilmember Elito Santarina). Davis-Holmes, Ruiz-Raber and Gipson voted last year to honor Kawagoe posthumously. Measure M, which would eliminate direct election of the mayor and have councilmembers serve as mayor on a rotating basis, lost by a landslide with 8,042 (83%) voting no and 1,628 (17%) voting yes. In the race for two open seats on the City Council, incumbent Carol Chen and George Ray finished ahead of five other candidates. Planning Commissioner Frank Yokoyama came in third. According to The Long Beach-Press Telegram, during the campaign The Los Cerritos Community News ran an advertisement, reportedly funded by a political action committee founded by the publisher, calling Chen “an agent of communist China.” Chen and other council members held a press conference denouncing the ad as racially motivated. In Monterey Park, two seats on the City Council were won by Hans Liang with 2,466 (32%) and Peter Chan with 2,192 (28%). There were three other candidates. Vincent Chang finished first out of three candidates for city clerk with 2,455 (60%). Stephen Lam was unable to unseat City Treasurer Joseph Leon, receiving 1,894 (45%) to the incumbent’s 2,326 (55%). On March 6, Councilmember David Lau and City Clerk David Barron attended their last council meeting as elected officials and were recognized for their service. Lau was first elected in 2001 and re-elected in 2005 and 2009 for a total of three terms and 12 years. Barron was first elected in 1988 and re-elected in 1992, 1997, 2001 and 2009 for a total of 25 years. 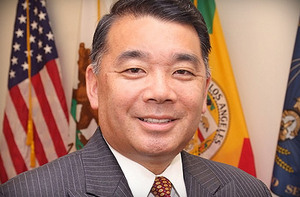 Rosemead City Councilmember Steven Ly was returned to office with 1,725 (29%), followed by fellow incumbents Margaret Clark and Sandra Armenta. Janet Chin was in fourth place. In San Gabriel, incumbents Kevin Sawkins and Mario De La Torre were re-elected to the City Council, and Jason Pu was ahead of incumbent David Gutierrez in the race for the third slot, 1,317 to 1,269 (both 20%). Chin Ho Liao was in fifth and last place. Mayor Vincent Yu was re-elected to Temple City’s City Council with 1,643 (35%), followed by incumbent Tom Chavez with 1,586 (34%). Challengers Matthew Wong and Nick Lisk were a distant third and fourth. 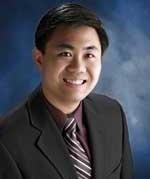 Elsewhere in the county, Chester Jeng finished fourth in a five-way race for three seats on the La Habra Heights City Council.